Plastic Tube heat sealers. 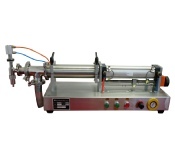 Production tube heat sealers, plastic squeeze tube heat sealers, tube heat sealers. Plastic and laminated tubes for lotions, cosmetics, creams can be heat sealed by various impulse tube heat sealers. 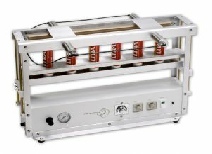 Two year warranty - tube heat sealers are made in USA. Filling equipment for filling the tubes sealed by tube heat sealers.